Check out this super rad new Star Wars: The Last Jedi screen print by Alexander Iaccarino and Dark Ink Art entitled “The New Order”! Spinning out of Episode VIII, the coolest new addition to the Star Wars mythology was The First Order’s Praetorian Guards and their insane high tech weapons. This officially licensed poster also features the film’s two big baddies, Supreme Leader Snoke and Kylo Ren, looking as ominous as ever. The New Order by Alexander Iaccarino is an 18”x24” hand numbered 5 color screen print. 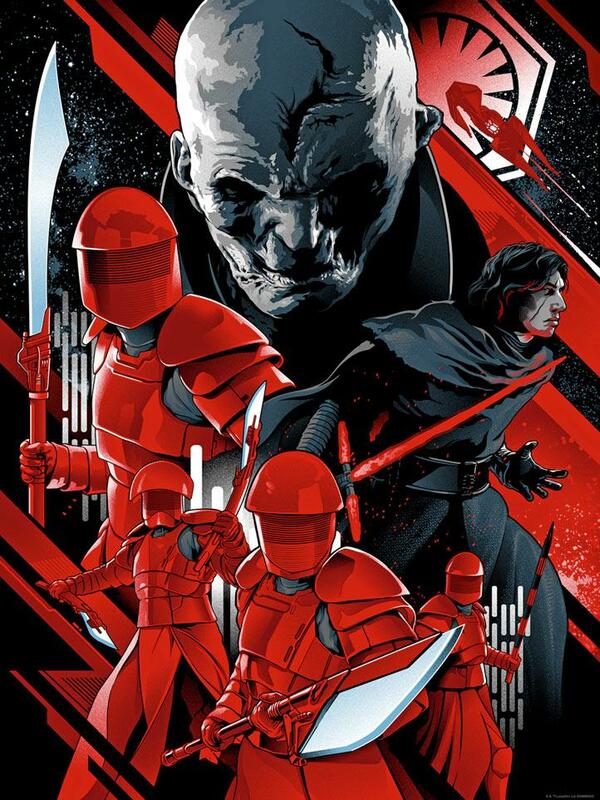 Limited to 200 pieces, this killer Star Wars: The Last Jedi poster is available now at the Dark Ink Art online store for $50.